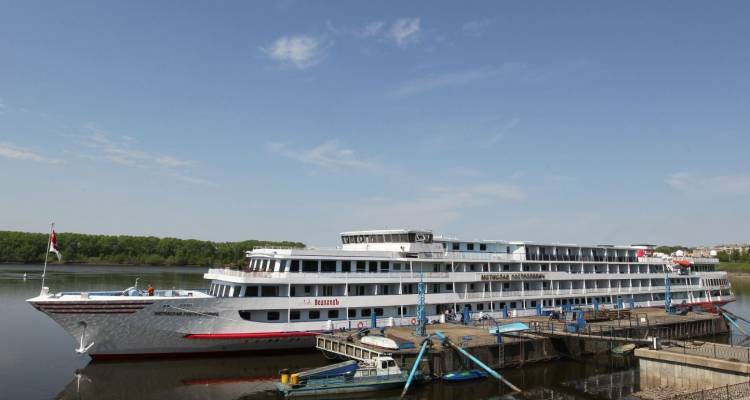 Renovated in 2009, the Rostropovich riverboat cruises smoothly on the waters of the Volga Baltic Canal and features an impressive accommodating capacity of 212 passengers, in the 106 stunning cabins it is provided with. Premium services and facilities come without saying on this four-star sailing vessel, along with the breathtaking Russian landscape, forming an unparalleled experience for any travel enthusiast. All dishes are heavily influenced by the Russian cuisine, although other international influences can also be found in here. Diverse breakfast served in a buffet style. Lunch includes at least one Russian soup and dinners are always themed, as a part of the evening entertainment programme. Fresh coffee, tea, water available at all times. Premium drinks served at the bar. Tea ceremonies and vodka tastings will take place throughout the whole cruise.